If any part of your wedding day is going to be indoors or in low-light for any reason, it’s very important to hire, know, and feel confident that your wedding photographer can photograph in those darker conditions. 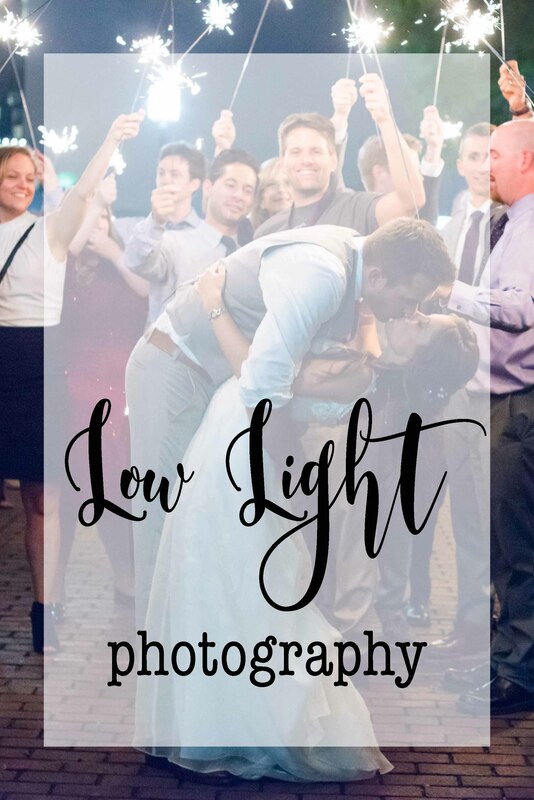 Here are some things to look for when trying to find out if a photographer can shoot in low-light, as well as some examples of how I handle low-light wedding photography scenarios. If not immediately noticeable, scour the photographer’s website for examples where natural/good lighting was absent. You should find examples where either the photographer took a photograph in an obviously dark setting, or where they used a flash in a flattering way to light up an obviously dark location. It’s good to look for both posed as well as candid low-light photos because it shows the photographer knows how to handle low-light for controlled stills, as well as on-the-go candids when quick reaction and improvisation are essential. If you have any trouble finding low-light examples on their website or during your consultation, ask to see some. Sometimes lighting can really mess with skin tones. Even professional photographers will sometimes opt to make an image black & white if it looks better, especially due to poor lighting. And honestly, that’s totally fine! Several things, including the fact that some photos are just more dramatic and emotional in black & white means it’s totally acceptable and even preferable to make some images black & white. With that said, if all the photographer’s low-light photos are black & white, it may be an indication that they don’t know how to handle low-light conditions when it comes to editing. But hey, maybe you love black & whites. And that’s totally fine! (So do I, but I limit those to just a handful at most!) But, if you’re expecting to get some decent color photos in low-light, be sure to see examples beforehand! Alternatively, consider having as much of your ceremony and reception under well lit conditions – from outdoors, to well lit ambience in the reception area. Keep this in mind if you haven’t selected your venue yet! 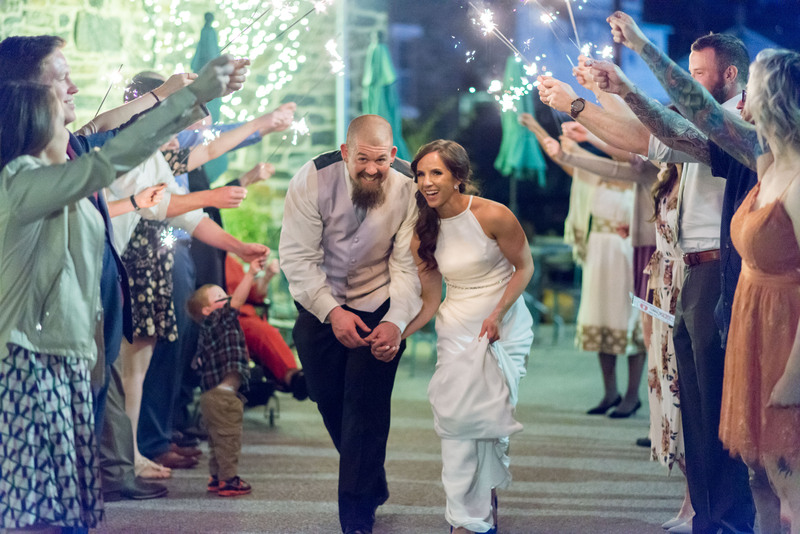 Good low-Light wedding photographers can edit photos to look bright. There is a difference between “dark & moody” images, which may be brightly lit, but edited to look dark, vs poorly lit images that are edited to look bright. It’s always safer to have more light than not. Shooting in low-light often requires the use of a slow shutter speed as well as “fast lenses”. Fast lenses are the one with a very low F-Step value. This means the lens aperture will open wide open, letting as much of the low-light – every bit of light helps! Normally, a fast shutter speed freezes the scene, preventing any blur. However, when a photographer needs more light, he may drop his shutter speed to a slower speed, which allows more light into the camera. There’s no problem with this unless the photographer is unable to prevent camera shake, or if the shutter speed is dropped too low to prevent the subjects from blurring due to their movement. Be sure your photographer knows what they are doing with lenses and that they have quality fast lenses. These fas lenses are notorious for being very epxensive and not all photographers are willing to dish out dollars to make their photographs look even better. The fastest lenses I have in f1.4 and f1.8, which are exception glass! Flash can be used in a variety of different ways. Most people do not find direct flash very flattering. Good low-light photographers know how to use and modify flash in a way that looks good! During receptions, I usually have my on-camera flash ready to go (along with plenty of extra batteries), but use it selectively. I also use a Gary Fong diffuser which helps diffuse and soften the added artificial light so it makes the subjects look more flattering by avoiding the notoriously hated oily forehead or cheeks, and harsh shadows created by the flash.